A Woman's Neck being Slashed, After She Refuses to Kiss Her Neighbor! The woman was killed and her daughter was hurt after the friend of her husband was sexually attracted to her. The dead body of Janelle Mangaluban was found in her own house and her daughter was rushed to the hospital due to slash on her neck. 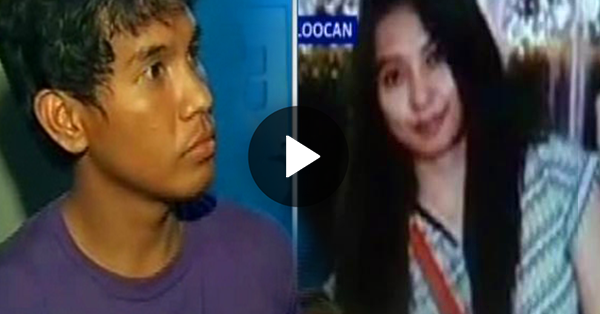 Wednesday night, in Caloocan City, Jayson del Valle, the suspect, saw Janelle on the street. Janelle said she cannot sleep and Jayson accompanied her and drink liquor. When the woman was sleeping in the room, the suspect attempted to kiss the victim, but the woman refused. The suspect got a knife and slashed the neck of Janelle that caused her death. After that, Jayson also slashed the neck of the daughter of the victim. “Nasilip ko sa kwarto na ganun, parang nablangko ako, nagawa ko yung ganung krimen,” Del Valle said. “Nakita ko siyang nakakumot, nakalabas yung kalahati ng underwear.” he added. See how the suspect narrated the story with the video below. The suspect is now in the custody of the police after he was caught hiding in the ceiling of the victim’s house.